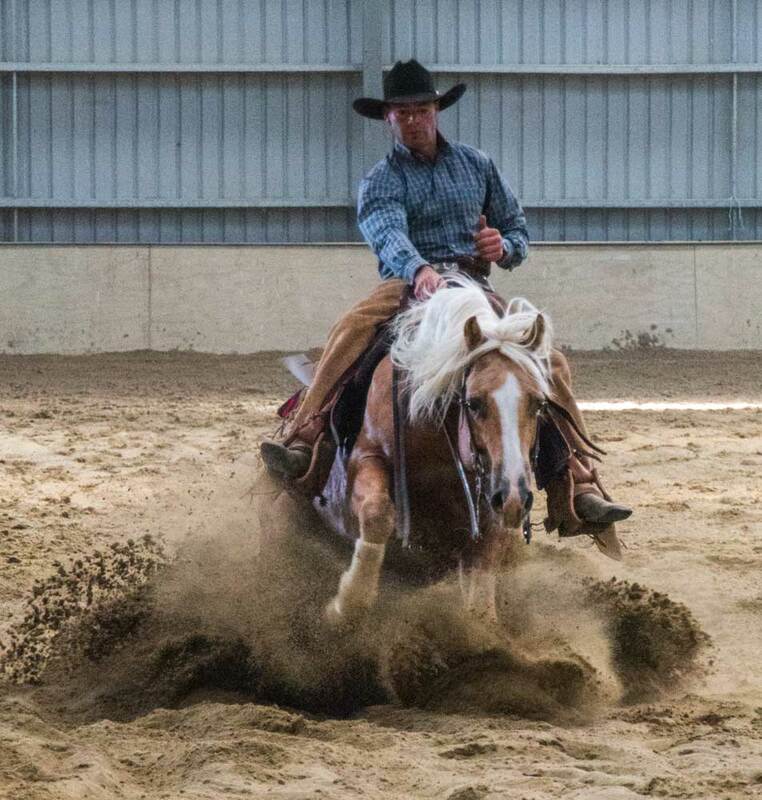 Reining is a Western style of riding that demonstrates tremendous agility in turning, stopping, lead changing, and more. 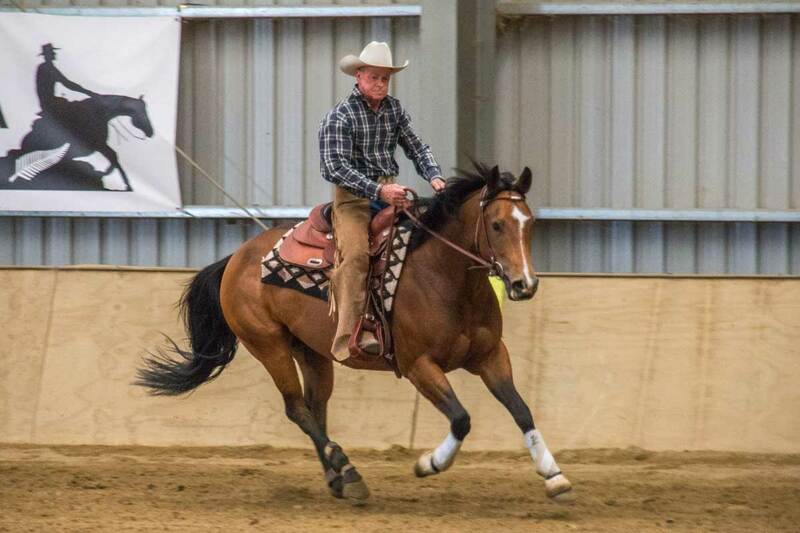 For these classes, the most advanced Western riders perform an individual, pre-assigned pattern from memory, demonstrating a variety of stops, turns, and figure eights in various speeds. 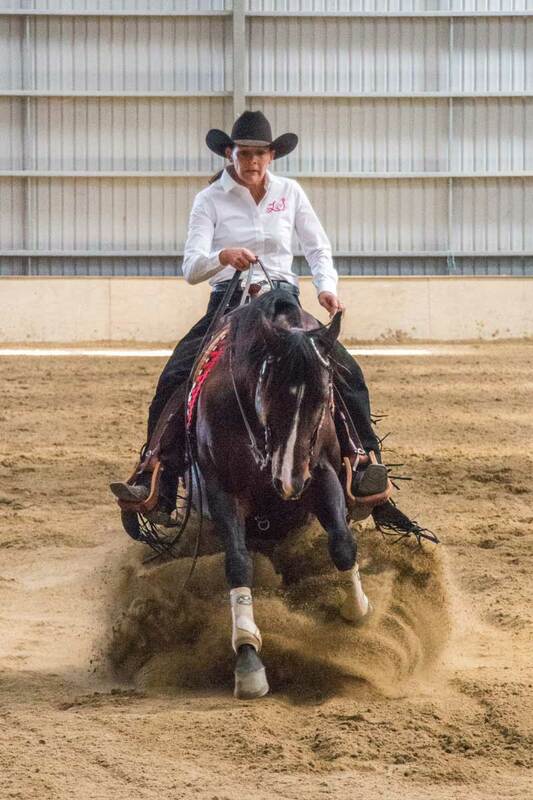 The emphasis is on the technical application of natural aids and the extent to which the horse accepts the guidance of the rider, remaining relaxed and obedient. 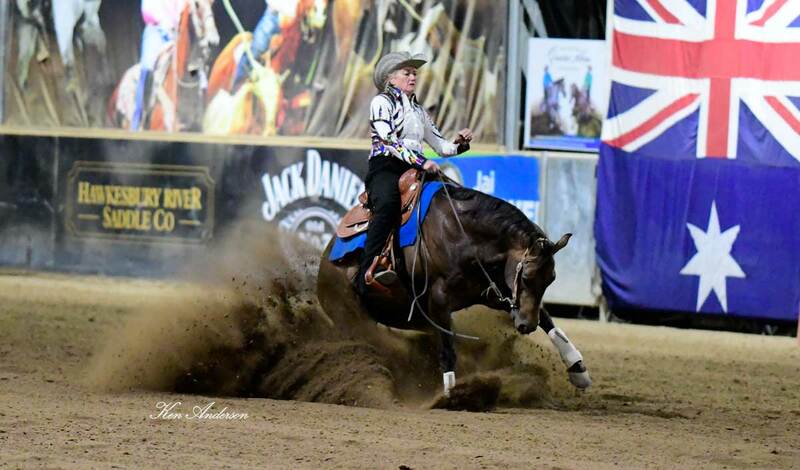 Points are gained for the neatness, despatch, ease, calmness and speed with which the horse performs the pattern and are lost for displays of resistance and disobedience. 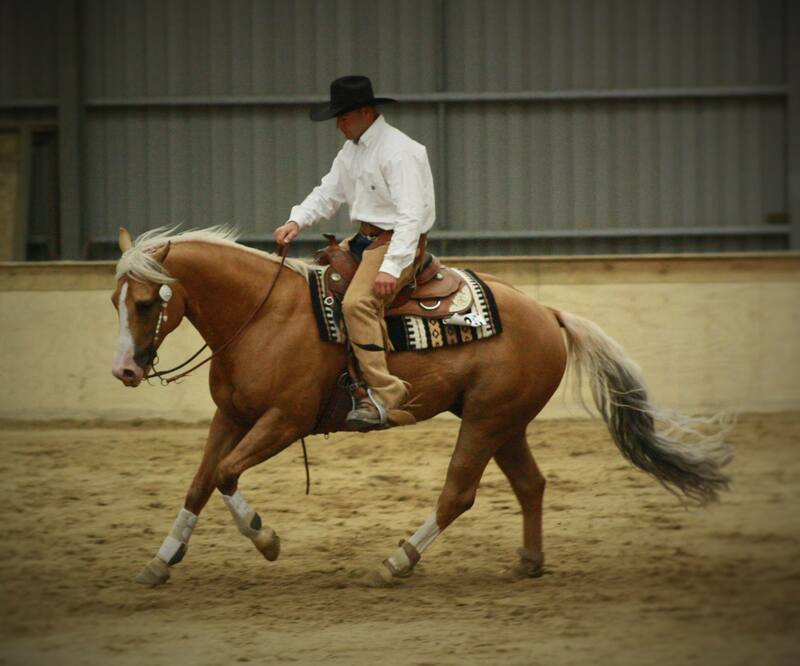 Each of the preset reining patterns is divided into manoeuvres, which are scored individually. Each horse begins the pattern on a score of 70; the average score. Each manoeuvre is scored in 1/2 point increments from a low of -1 1/2 to a high of +1 1/2, with a score of 0 denoting a manoeuvre that is correct with no degree of difficulty. A horse scoring 0 throughout therefore completes the pattern with a score of 70. In addition to the score judged for each manoeuvre, which reflects the opinion of the judge and takes into account the degree of proficiency shown or any faults displayed such as anticipating the rider’s signals, set penalty points must be deducted for specified serious faults. Nothing lowers an overall score like incurring numerous penalty points! These are non-discretionary for the judge; if the faults are displayed, the points must be deducted. As you can see, running 2 circles on the wrong lead would lose you 8 penalty points and you could also expect to receive a score of -1 1/2 for a manoeuvre badly performed. From your starting score of 70, deduct 8 penalty points and – 1 1/2 as your manoeuvre score and your final score now stands at 60 1/2 after just one manoeuvre. Other faults are serious enough to result in a final non-completion score of 0. Running off-pattern (performing movements in the wrong order, the wrong way etc), backing more than 2 strides or turning more than 90 degrees where not specified for example will result in an overall zero score and should obviously be avoided.